I did very little game writing over the holidays. One thing I have done is start writing up the setting I use, a sandbox world I can drop adventures into. This is a pastiche of a bunch of my previous GMing notes, but focusing more on the swords & sorcery and open-ended ideas, instead of the claustrophobic medieval horror I often go for. 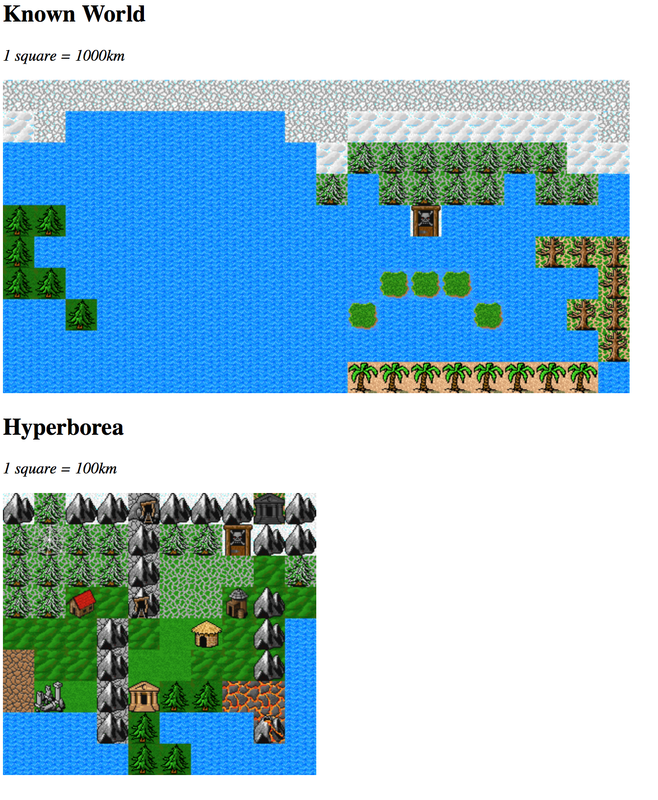 The Hyperborea map details that one door/skull tile on the world map, and I’ll make wilderness maps at 10km scale for each grid players enter. I still need to put labels and grid coords on these, likely to do that today.